Make sure you're following us on Instagram this week as we count down the next 5 days to Sunday's Academy Awards. Cass, Jess and Erin will each be wearing their favorite Hollywood inspired gold & silver pieces for the "Glitter and Glam" week. Five Days. Five Ways. Five Fucignas. Recapping one of the most fun weeks with our favorite 5 siblings. 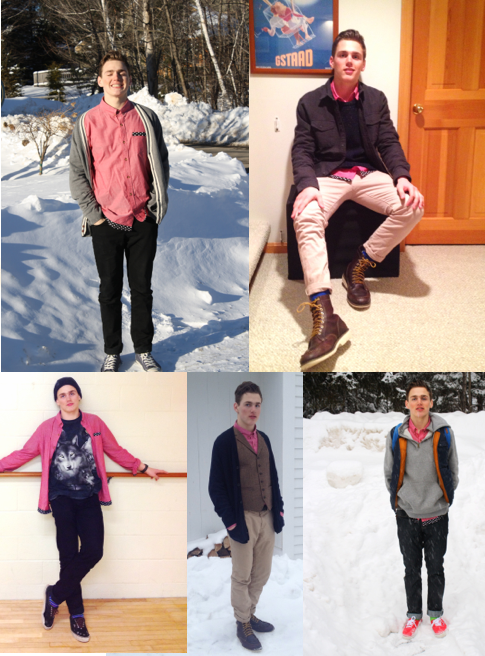 Last week, Erin and her 4 siblings styled their favorite pieces of apparel 5-ways for the ultimate sibling rivalry challenge. I think it's safe to say that this family has got some steeeeelo. Do they get it from their super cool parents? Who knows, but one thing's for sure: we will DEFINITELY be featuring these 5 beauts again for a sibling rivalry rematch. Check out how Alex, Sarah, Erin, Abby and Peter executed the challenge! And tell us, because this family is FULL of competitors, who do you think won? Oldest sister, Alex (who's technically not a Fucigna anymore now that she's married into the Green family...but screw the technicalities, right?) took the challenge with a classic staple that every girl and guy should own: a chambray button down. And sorry, but she had an unfair advantage by having the opportunity to feature THE CUTEST BABY EVER. Welcome to the fun Miles Magoo! Next up is kid Number 2 (true story, usually Mom Fucigna refers to her children by number. but who can blame her when you've got 5 and now adding grandkids...it's hard to keep track), Sarah with a super cute black and white polka dot blouse from Zara. 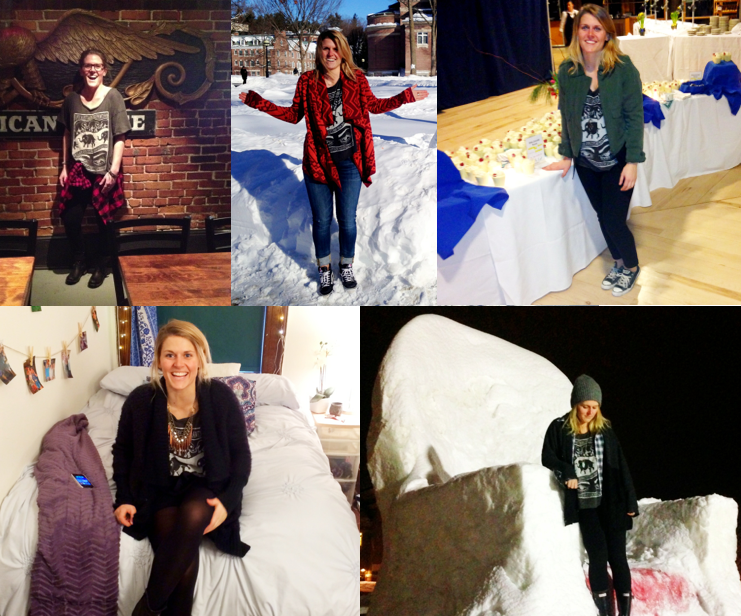 We love how Sarah's new job at Gilt City is inspiring her to take some fashion risks! You go girl. And here's our leading FDFW lady: Erin, who if you didn't already know has the worst middle child syndrome...ever. So, she took this week's competition as serious as the annual Christmas Day Fucigna family board game. With her fancy new buttery leather jacket, Erin proved that she's still got the funky edge. And look how much color she wore this week! We're always happy to see when she mixes up her usual all black ensemble with some pops of color. Next up the youngest of the Fuci sisters comin atcha from the good 'ol College on the hill--that's Dartmouth for all you non-Big Greeners ;) She chose to take on the 5x5 challenge with a Brandy Melville graphic tee and boy did she rock it. It's definitely hard to get inspired by fashion when you're stuck trudging through feet (yes plural, feet) of snow in Hanover, NH. Bravo Ab! Can't wait for her next feature...maybe this summer when she's crushing the Boston finance scene! Mix it up with a power suit? Yes. And last, but certainly NEVER least, the baby of the Fucigna clan: Pete. It's clear where the 4 girls get their fashion inspiration from as they grew up with a closet 4x the size of most of their friends (they did a lot of "borrowing" clothes AKA stealing). But as his sisters grew up calling him, "The Little Mister's" sense of style has certainly not suffered by not having any older brother influences. Pete absolutely crushed his 5x5 challenge in the Jiberish red and polka dot button down. Mixing it up with multiple pairs of boots, Vans, Chucks (#taylorgang) and layers upon layers of jackets, sweaters and vests, I think it's beyond clear who the Fucigna winner is here. And can someone get this kid a modeling job? Is that weird that this is Erin writing this? Nope. Here's Jess, who mixed a bit of the old school classic prep with an amazing homage to the pastry delight, the donut. No one rocks the plaid quite like her, she practically bleeds plaid like any good classic Prepster does. 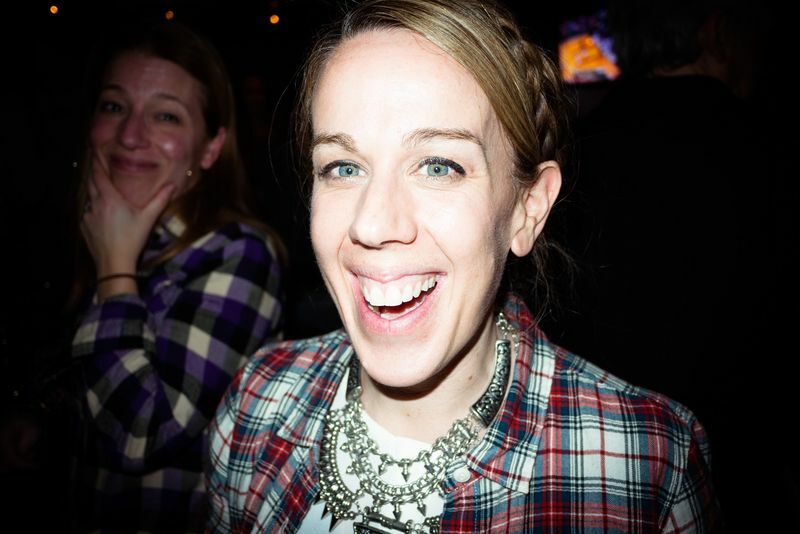 One year later and this little JCrew plaid shirt is still crushing the 5x5 challenge. Since this was the very first item that started all of the Five Days fun, technically THIS week made it Ten Days, Ten Ways, right? Way to crush it yet againnnnn Miss Cass Andrea! Beautiful photos by Luke Perkins, as always. Huge thank you to everyone who came out to celebrate our very special very first birthday. We had so much fun hanging out with everyone. Congrats to everyone who cashed in big at the raffle. We'll be contacting you with all details on how to retrieve your prizes. Check out some photos here and the full album on Facebook. Our birthday party is TODAY! Soooo, we're giving you a sneak peak at what to expect from tonight's birthday party raffle. In case you weren't already excited enough. Chef Douglass Williams of Culinary Breakdown, formerly of Corton NYC, Coppa and Radius, brings his 2-star Michelin experience to the homes of Bostonians and New Yorkers, offering a set of unique "collective culinary experiences" including interactive in-home cooking classes, private chef experiences and now, cutting edge pop up events. Today's auction item includes 2 tickets to a an exclusive Collective Culinary Experience pop up event, where Douglass will be showcasing an innovative menu in an intimate setting for a select few Bostonians. For special services or to inquire about hosting your own CB experience, please visit the CB website. Check out the video below to learn more about the very talented Douglass and his experience with Culinary Breakdown. 5 Pairs of Keds sneakers. Remember when Erin, Jess and our friend EB took the challenge with these little canvas kickers? I hope these 5 lucky winners are up for a little 5x5 challenge fun. $25 Gift Card to Warehouse Bar and Grille. Lucky for you, you won't have to go very far to cash in this bad boy. How about you use the gift card to buy the 5x5 girls a round of drinks at the party? Yeah, we aren't even gonna try and be subtle with that one. Set of 4 Moscow Mule Hammered Mugs from Wayfair. Sometimes, there is literally nothing better than cracking open a ginger beer and making an ice cold Moscow Mule in a copper mug. Seriously. Nothing. 2 Ball and Buck Hunter shirts. Remember when Cass took the 5x5 challenge in her plaid Hunter shirt from Ball and Buck? So, I'm sure even all the ladies will be crossing their fingers for this gentleman's staple. 1 month free membership at Equinox. Use it to work off all the apps and Georgetown Cupcakes you'll be eating and drinks you'll be drinking tonight. You're welcome. Custom vintage necklace from Ad Jewelry. How beautiful is this necklace that Anne from Ad Jewelry created just for the 5x5 girls? Check out all of her other items available at The Ad Jewelry Etsy Shop. We'll see everyone at Warehouse tonight!